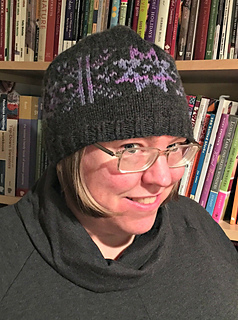 The Flurries Hat is the perfect project for people just learning how to knit colorwork. The result is so gratifying, and there are only two colors to deal with. The snowflake chart for this hat is easy to follow, too, with two alternating columns of the main and contrasting color separating each snowflake motif. Adult and toddler sizes available in the pattern.